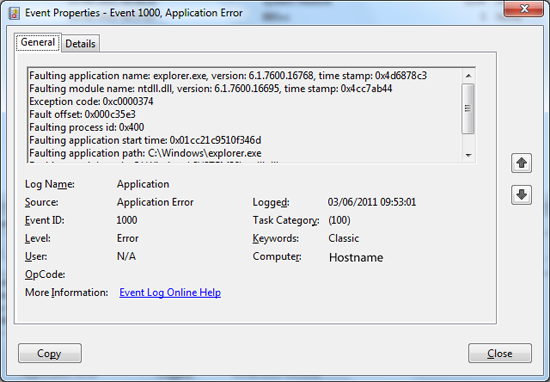 And the event log yields no clues, it does log an Event ID 1000, but that does not seen to help much? 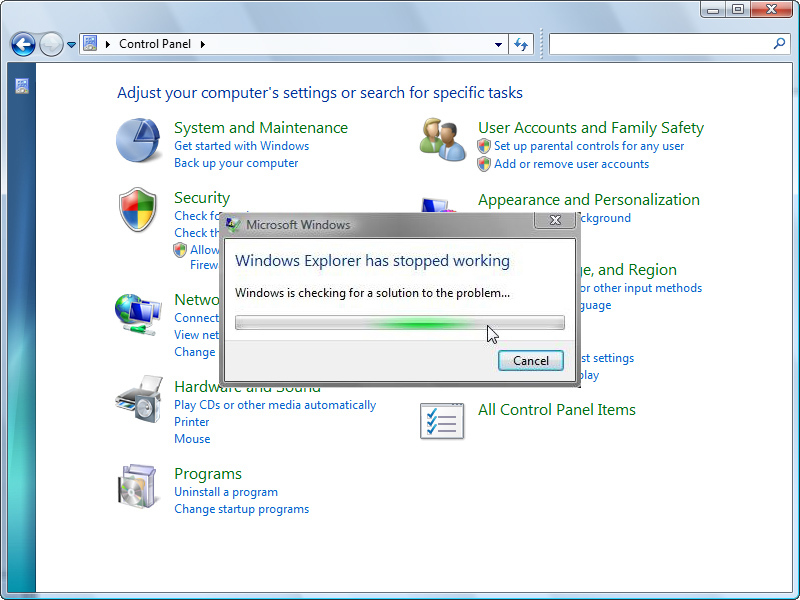 Essentially this error is caused by a .cpl file that Windows does not like, these are control panel applets (small programs), we use them all the time without realising it..
(from command line run “ncpa.cpl” without the quotes, you should see your network connections). 2. 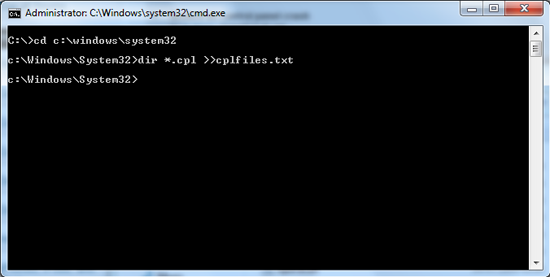 Now using Windows explorer browse to C:windowssystem32 and locate the text file cplfiles.txt, open it in notepad. 3. 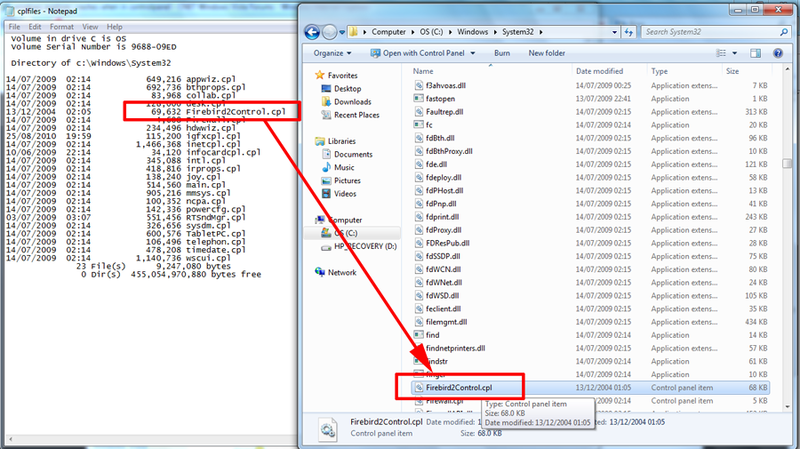 This will show you all the cpl files in this folder, anyone of these could be the culprit. 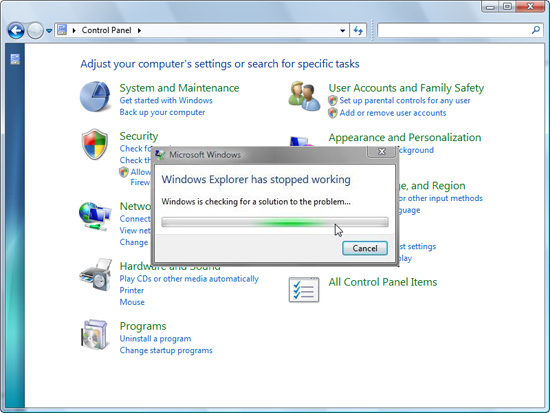 I’ve read some posts that say “double click each one and the one that crashes explorer is the culprit”, but for me THAT WAS NOT THE CASE! the offending .cpl file on my machine opened and ran without error. What I suggest you do is MOVE all the .cpl files to another folder, then move them back a few at a time, then open control panel, at the point it starts crashing again, the culprit was in the last batch you moved back. 4. 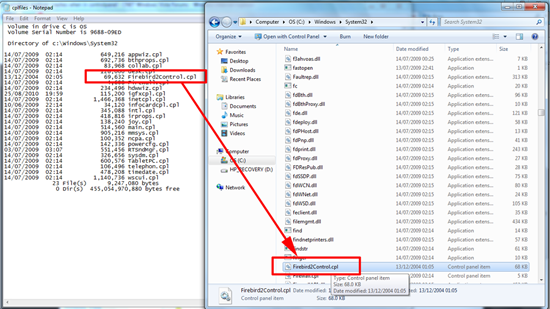 The offender in my case was Firebird2control.cpl (Installed with Firebird database software) deleting this file did not appear to cause any harm to the Firebird product but check with your software vendor. 5. As soon as that file was removed from the System32 folder the problem ceased.